This entry was posted in News and tagged FCC, advisory on September 24, 2018 by Rick. This entry was posted in News and tagged FCC, podcast, More Than Seven Dirty Words on August 28, 2018 by Rick. When you apply for an FCC license to obtain frequencies for your business radios, you may think the process is complete once you submit your application. Not so fast! After the FCC has granted your license, you are required to let them know when you begin to use the frequencies. This is called a Construction Notification. You have one year after the license is granted to file the construction notice, and failure to do so will result in the loss of your license. Most of the time, dealing with the FCC's processes is complicated and confusing. Fortunately, filing a construction notice is somewhat simple and straightforward. We will walk you through the process of filing a construction notice in 8 simple steps as outlined below. Important! If you used our FCC License Service to get your frequencies you do not have to complete these steps. As part of our service, we file the construction notification on your behalf once your license has been granted. 1. Login to the FCC's Universal Licensing System (ULS). Use the FRN and password that you created when you applied for your license. 2. If you have multiple licenses, click to view the license that needs the notification. 3. In the "Work on this License" section to the right, click "Notify the FCC"
4. Application Purpose. Choose "S - Construction requirements for the referenced system have been met" and click the Continue button. 5. Buildout Information. For each frequency in the list, enter the date that you began using the frequencies in the "Actual Construction Date" field. Click Continue. 6. Fees and Waivers. If you are exempt from application fees or are requesting a waiver of commission rules, indicate that here. Usually the answer will be "No" to each of these questions. Don't worry, there are no fees for filing a construction notice. Click Continue to proceed. 7. Summary. This page is simply a review of your previous selections. If everything is correct, click "Continue To Certify" to move to the final step. 8. Certification. Read the information under the Certification Statements. Assuming you agree, enter your name and title in the Signature section below. Click Submit Application to complete the process. This entry was posted in Business Radios and tagged FCC, license, construction notice on June 26, 2013 by danny. We discuss the new FCC mandate for narrowband compliance which took effect January 1, 2013. We also review the Motorola HKPN4007B CLP Multi Charger. We discuss the FCC requirement for narrowbanding. We explain what it is, the penalties for non-compliance and tell you what you need to do to bring your business radios and licenses into narrowband compliance. For more information about the FCC narrowband mandate read The final countdown to narrowband compliance has begun - are you ready? and listen to episode TWRS-12 - The Migration to Narrowband. For tips on using your two way radios, watch our new Radio 101 video series hosted by Anthony. Today we review the Motorola HKPN4007B CLP Multi Charger. This entry was posted in General, Two Way Radio Show Podcast and tagged UHF, VHF, FCC, narrowband, narrowbanding, 2013, Motorola, Multi-Charger, CLP, video, accessory, accessories, Radio 101, HKPN4007B, mandate, compliance on January 10, 2013 by Rick. Are you narrowband compliant? If not, the FCC deadline for narrowbanding is almost upon us and you are almost out of time. What is the narrowband requirement? The FCC mandated that all manufacturers of business two way radios must cease the manufacture and import of radios that include a 25 kHz mode and all VHF/UHF industrial, business and Public Safety Radio Pool licensees must operate on 12.5 kHz (11.25 kHz occupied bandwidth) or narrower channels By January 1, 2013. At that time, all business land mobile radios and licensees operating in the 150-174 MHz VHF and 421-512 MHz UHF bands must be at 12.5 KHz or narrower. The good news is that most business class radios sold in the United States within the last eight to ten years are already narrowband capable or compliant. If you are currently operating on wideband, you may simply need to re-program your radios for narrowband. However, if your radios are older, they may need to be upgraded. Fortunately, Kenwood and Motorola are both offering special rebate offers on new UHF and VHF business radios that are narrowband ready. Motorola is currently offering a trade-in promotion as well, in which you can trade in your old wideband radios for newer narroband-compliant models. These promotions end December 31, 2012, so if you need to upgrade, now is the time. In addition to the radios themselves, business operators must also be licensed for narrowband frequencies. If you are already licensed for narrowband, you're all set. If your license covers wideband only you will need to update your license by December 31, 2012. If you need assistance, give us a call. We can help. For more information about the new FCC narrowband requirements there are several resources available at Buy Two Way Radios. The final countdown to narrowband compliance has begun - are you ready? You can also give us a call at 1-800-584-1445 or enter our live chat weekdays from 10 AM to 6 PM ET. This entry was posted in General, Business Radios, News, Kenwood, Motorola and tagged two-way, radios, Business, UHF, VHF, 2way, FCC, narrowband, narrowbanding, license, update, upgrade, deadline on December 20, 2012 by Rick. We take a look back at the year 2012 in the world of two way radio communications and technology. We also review the Uniden Bearcat 980 SSB CB Radio. We discuss some of the news and events of 2012 that shaped two way radio history, some of the new products launched during the year and products that were retired or discontinued in 2012. Radios discussed include the Midland GXT2000, Midland GXT5000, a new lineup of Midland GMRS two way radios, the Cobra CXT135, Cobra CXT235, Motorola TALKABOUT MT350R, MT352R, MD200R, and new Uniden Two Way Radios. The deadline for narrowband compliance and DSC requirements is January 1, 2013. For tips on using your FRS/GMRS two way radios, watch our new Radio 101 video series hosted by Anthony. Today we review the Uniden Bearcat 980 CB Radio. Questions from readers of our Two Way Radio Blog and members of the Two Way Radio Forum. Helpful links for Q&A include the Blu-Comm Wireless Bluetooth Headset Kit (M1) and Radio 101 - Resolving Midland and Motorola Privacy Codes. This entry was posted in General, Two Way Radio Show Podcast and tagged UHF, VHF, MURS, FRS, GMRS, Midland, GXT5000, FCC, narrowband, Motorola, Cobra, Uniden, SSB, DSC, Talkabout, 2012, GXT2000, GXT2050, MD200R, MT350R, MT352R, Bearcat, accessory, accessories, Radio 101, Digital Select Calling on December 19, 2012 by Rick. We talk about taking two way radios on camping trips. We also review the Garmin Rino 655t two way radio with GPS. We talk about using two way radios while camping. We'll identify what features are important to have in a two way radio when out camping and make a few recommendations on the best radios for use on camping trips. Radios discussed include the Midland GXT1000VP4, Midland GXT5000, Cobra microTALK CXR925, Motorola TALKABOUT MR350R VP, Motorola TALKABOUT T9680R-SAME, Uniden GMR3689-2CK, Garmin Rino Two Way Radios with GPS, and the Midland XT511 Base Camp Two Way / Emergency Crank Radio. 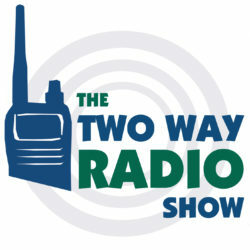 For more information about using two way radios on camping trips, read Two Way Radios For Camping and listen to The Two Way Radio Show Episode 3 - Radios In The Woods. Today we review the Garmin Rino 655t Two Way Radio With GPS. This entry was posted in General, Two Way Radios, Two Way Radio Show Podcast and tagged UHF, VHF, MURS, FRS, GMRS, Midland, GXT5000, FCC, emergency, Motorola, same, T9680, T9680r, XT511, Uniden, CXR925, MR350R, GXT1000, GXT1050, MR350, Talkabout, Cobra MicroTalk, CXR825, base camp, GMR3689, GMR3689-2CK, Garmin, Rino, 610, 650, 655t, GPS, camo, camouflage, camping, hiking on February 20, 2012 by Rick.